The front aero pieces have been revised, with a slightly different placement of the front wing supports and meatier canards up front compared to the 2015 car. It also has a more triangular nose shape this year, as opposed to the rectangular middle lump of the old car's nose. It may be an evolution and will probably get covered up with a livery, but man, do these cars just look mean in naked carbon fiber. This one looks even more sinister than last year's with the more angular nose treatment. That face says "squee" if I ever saw it. 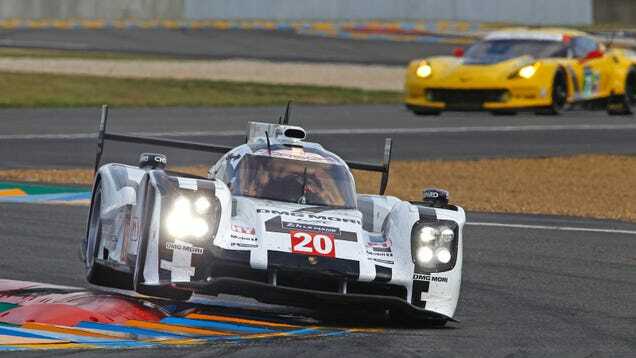 Testing of the Porsche 919 will continue on January 18 at Abu Dhabi's Yas Marina Circuit.